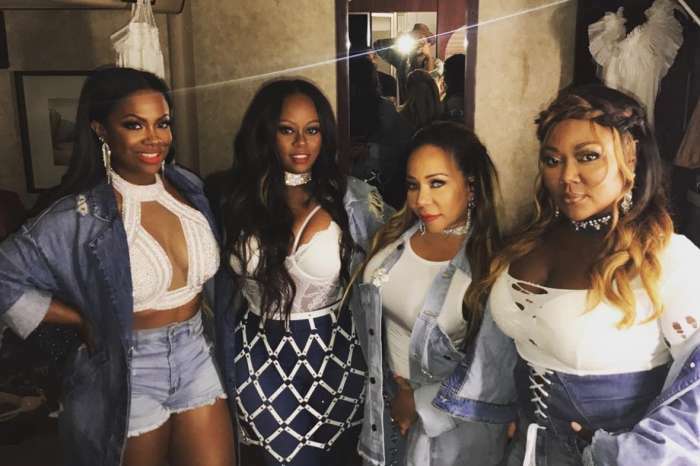 At every given opportunity Kandi Burruss dumps Xscape under the bus. The Real Housewives of Atlanta star sat down for a lengthy interview that was published online over the weekend where she talked about Tameka “Tiny” Harris, LaTocha Scott, and Tamika Scott. 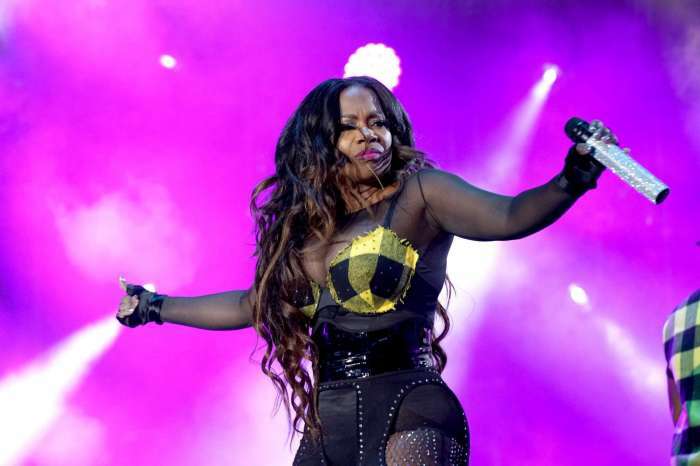 Burruss had a lot to say about the future of Xscape after she leaves the band. She also touched on the new music being released without her. The businesswoman gave a lot of details as to her reasons for exiting the group after the Great Xscape Tour ends in a few weeks. The mother of two said she reluctantly took part in the tour for their supporters. Burruss said 18 years ago she left the fans hanging and decided that it would be an excellent way to close a chapter by doing a massive tour, a reality show, and a movie for those who supported the band for all that time. However, 18 years have gone by, and she no longer feels that she is on the same page as the other members. Despite the fact that Tiny, Burruss and the Scott sisters have been able to put their drama aside and work together on the road, Todd Tucker’s wife once more said she is outvoted and feels outnumbered whenever she has to go against the ladies. Not only does she feel like a fish out of water when it comes to the other singers, but she also does not have high hopes that the new music that they will be releasing will have much success on the charts. She believes the divas should have continued performing the classics from 20 years ago and not damage the legacy by releasing new tracks that will fail on the music charts. She was also asked about the two new songs that the three artists have unveiled. Burruss said the ladies did not give her a preview of the tracks and like everybody else, she discovered them online. This new drama is quite surprising. Kevin Hart Jokes About Not Wanting Baby No. 3 During SNL Monologue - Check Out The Video!